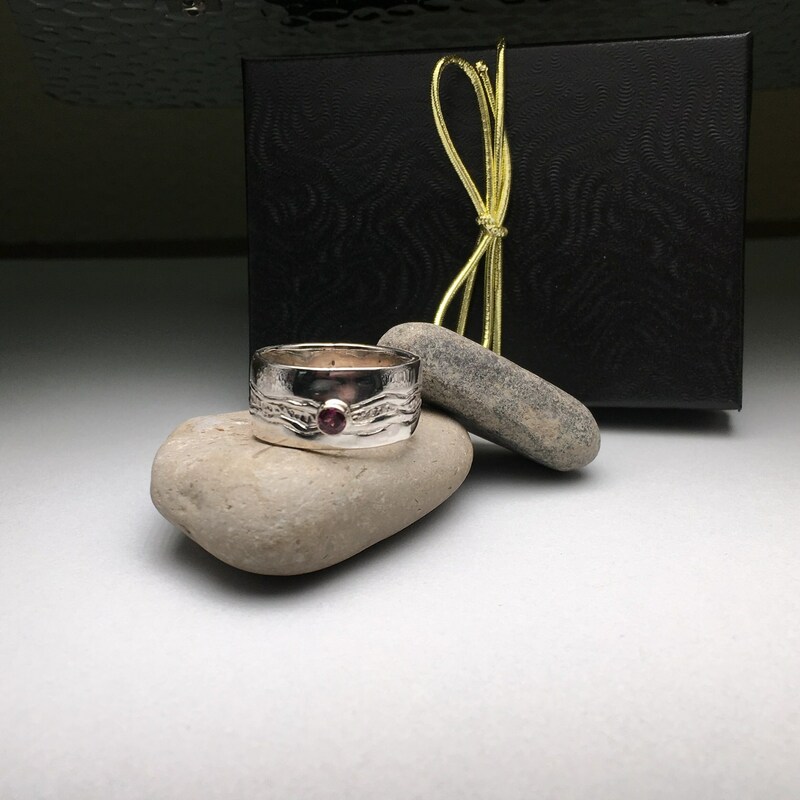 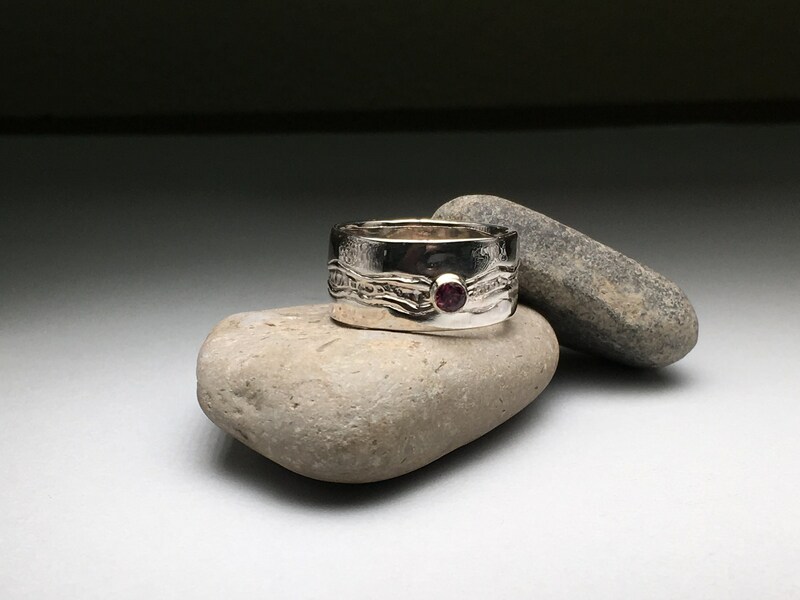 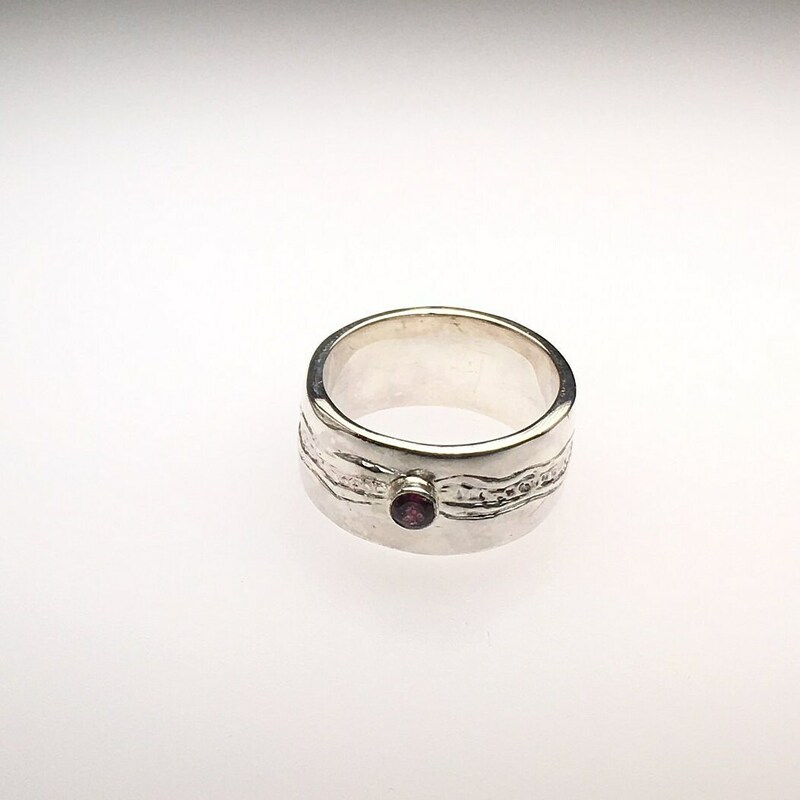 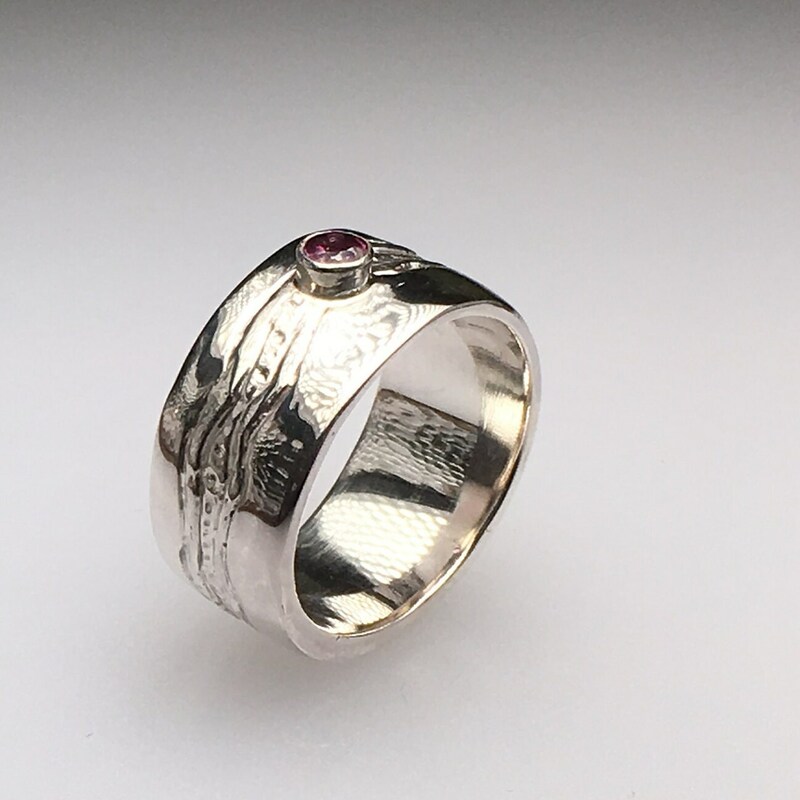 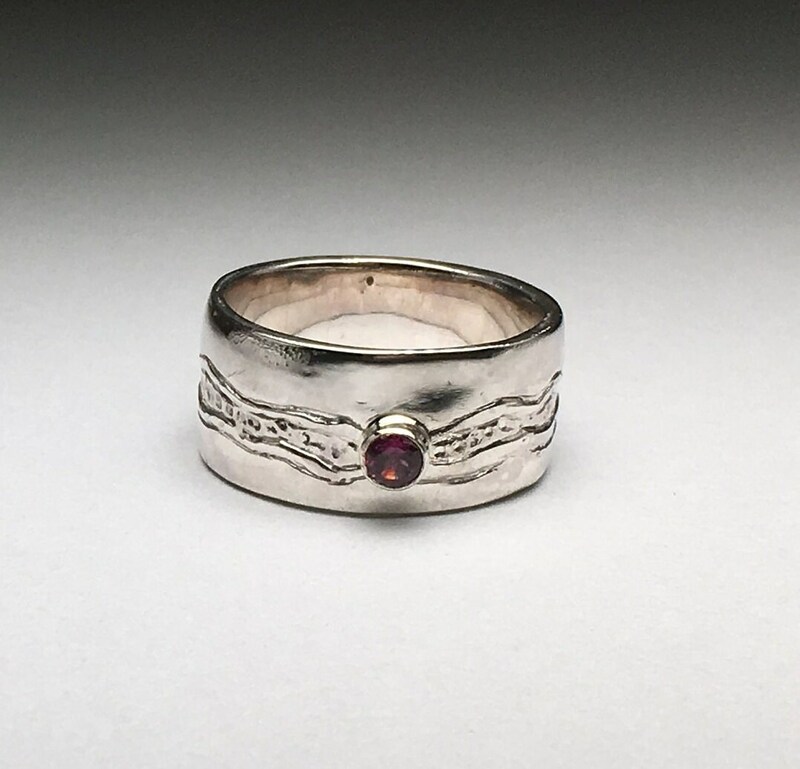 Artisan Carved Wide Band Ring with Genuine Faceted Rhodolite Garnet Gemstone in Sterling Silver. 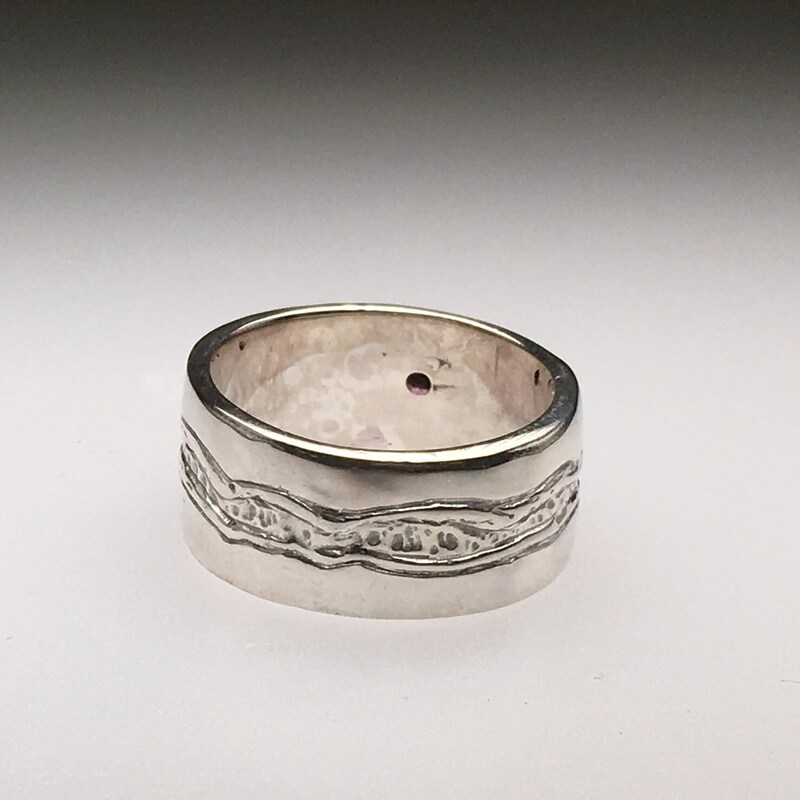 This is an original design of mine that I hand carved in wax and then cast in silver using the lost wax process. 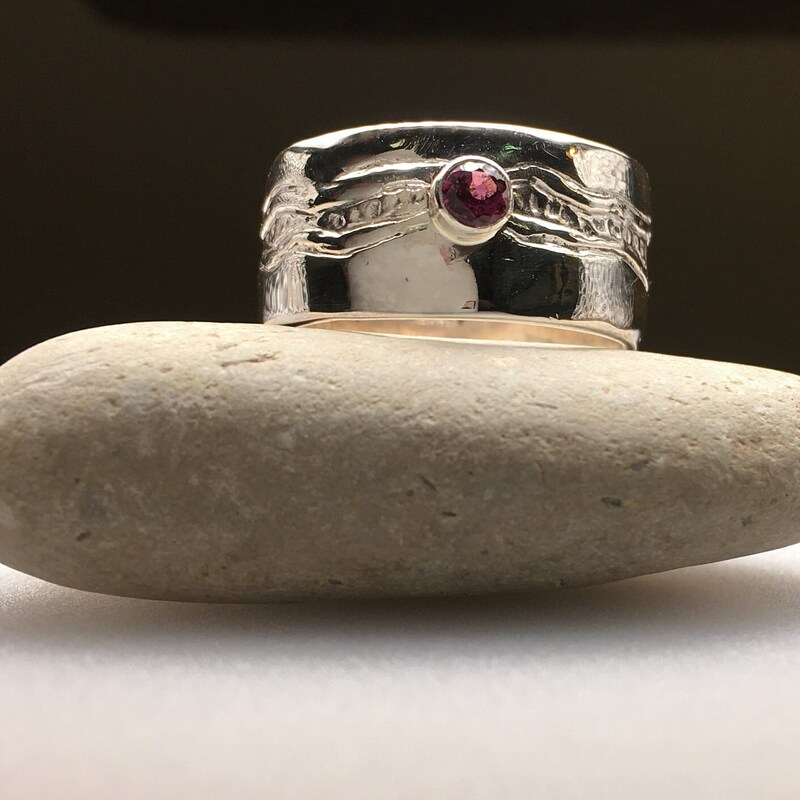 I then hand finish each ring and hand set the gemstone. 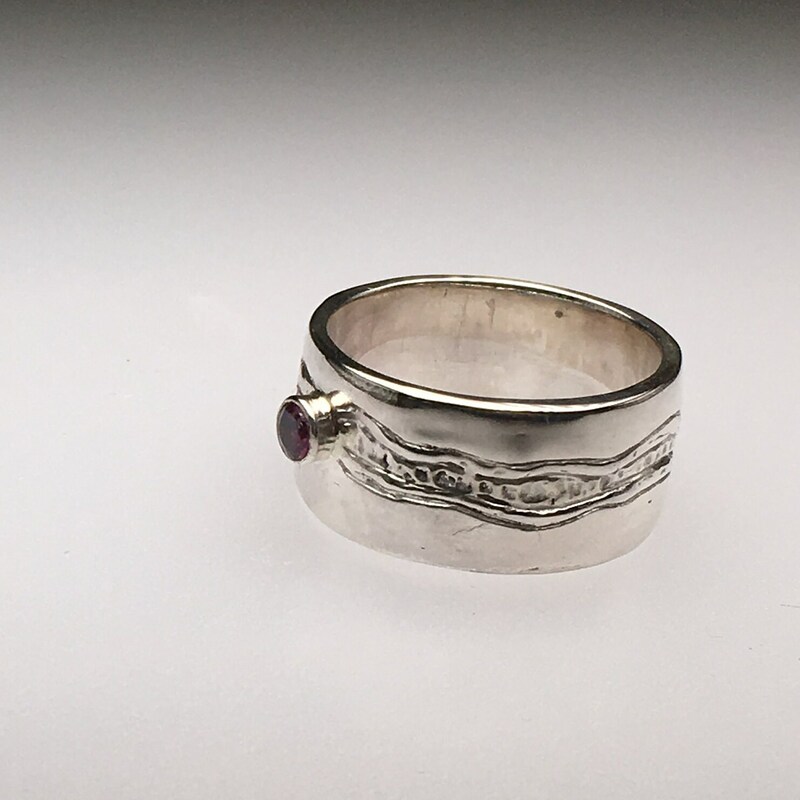 I hope that you will enjoy this ring as much as I have enjoyed making it.